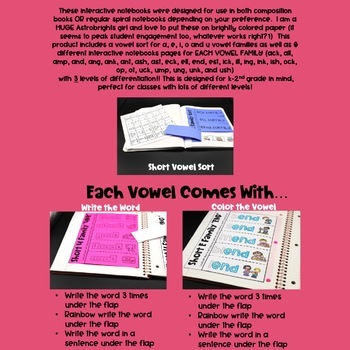 Do your students struggle with basic phonics skills? Do they LOVE interactive notebooks? 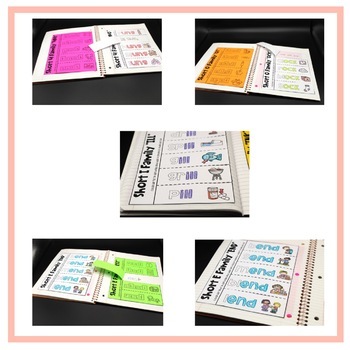 This resource is ideal for grades K-2 or students needing some phonics intervention. 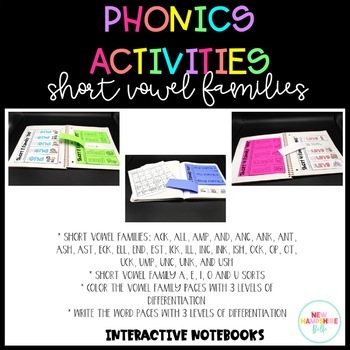 In this resource you will find the following short vowel families: ack, all, amp, and, ang, ank, ant, ash, ast,eck, ell, end, est, ick, ill, ing, ink, ish,ock, op, ot,uck, ump, ung,unk, and ush with 6 levels of differentiation for each. Please look at the preview to see exactly what you are getting!